The Wishing Well Inc. Foundation continues on the journey with Miss Tamiko Butler – the driving force behind the upcoming 2nd Annual Miko’s Bike Mania of the many young children who will be participating in a fun and healthy cycling activity on Sunday, November 27th 2016. Mr. Iba Hodge of Galley Bay Resort & Spa represented Wishing Well Inc. (one of the mains sponsors of the cycling event) during the short presentation at the resort. “Most of us who were Miss Butler’s former colleagues, will remember her riding her bike to work and her incredible dedication to and discipline for cycling.” – Mr. Iba Hodge. 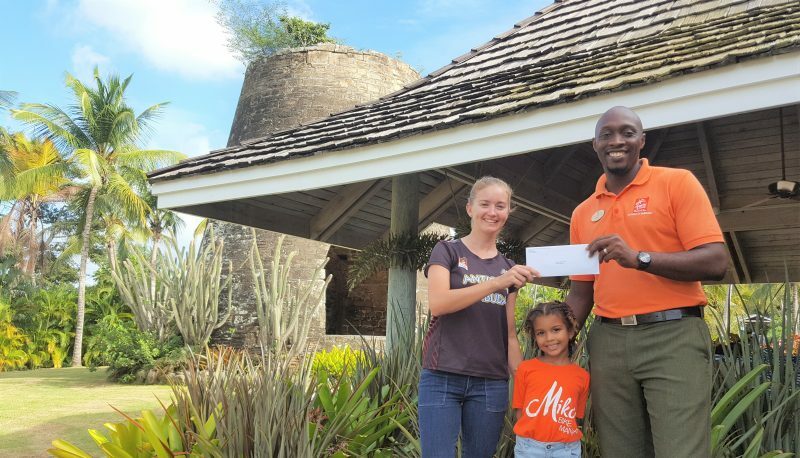 It was especially befitting that a Galley Bay Resort staff member handed over the sponsorship donation to Miss Butler, who herself worked as a Water Sports Attendant at that resort. “Galley Bay Resort, Management and staff have been supportive since I first started training for top events in 2009. I’m delighted to give back not only to the community, but also to the hotel for all that they have done for me over the years.” – Miss Tamiko Butler.